Hand-crafted by skilled artisans in Milan, the Reko Night Table has a subtle sophistication that is synonymous with Italian design. Featuring intricate weave detailing on the two fitted drawers, the night table is finished using the finest Pelle or lacquered leather. Choose from steel or bronze edging for a luxurious touch. 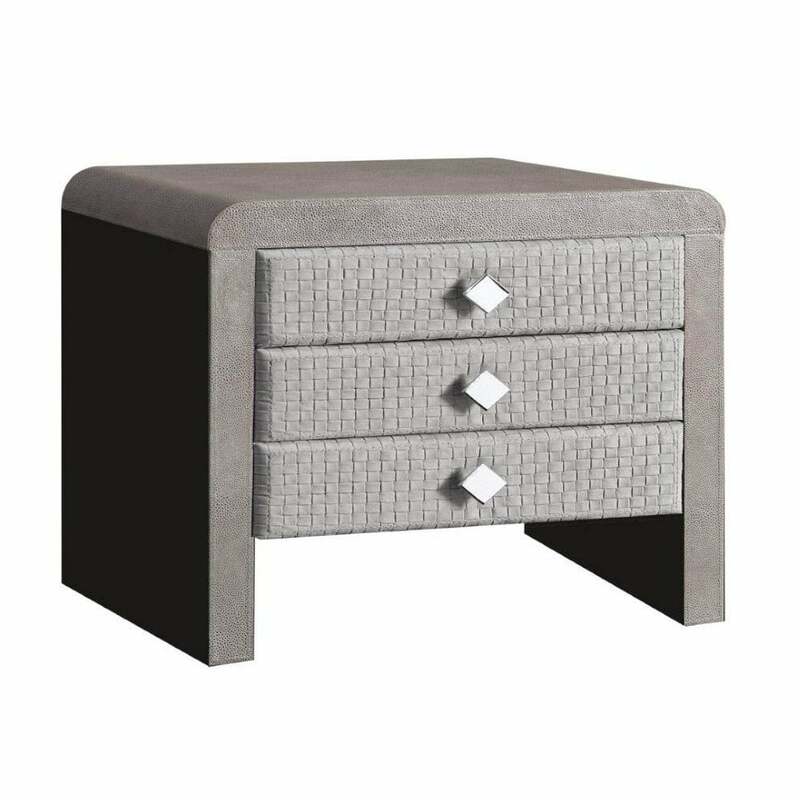 The diamond shape handles complement the shape of the drawers adding visual interest to the unfussy yet stylish design. Use to store night-time beauty essentials, notebooks and reading material. Style with the Onda Bed and Madrid Table Lamp from the Rugiano collection for a tranquil bedroom scheme. Available in two sizes to suit the scale of your bed frame. Make an enquiry for more information.